The age-old female struggle to juggle work, family, relationships and sanity takes on a new dimension for a woman priest with ‘perfection’ in her job description. 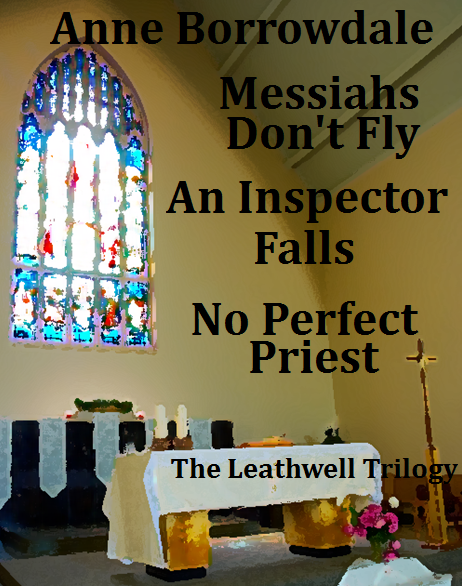 This is the second book in the Leathwell trilogy. The first is Messiahs Don’t Fly and the third is No Perfect Priest. Or buy the paperback edition of An Inspector Falls direct from my website for only £2.00 + £1.75 post & packaging. 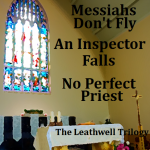 You can now get an e-edition of all 3 books in the Leathwell trilogy – Messiahs Don’t Fly, An Inspector Falls and No Perfect Priest – from the Kobo store for only £3.99. 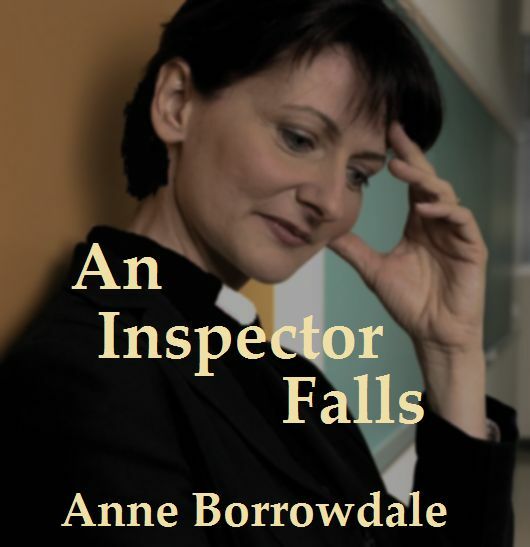 I read AN INSPECTOR FALLS whilst away and once again I think you have done a marvellous job in putting issues and problems into a context, making it so readable and gripping in its own right but also helping those for whom these are the problems they may face at least to be to forewarned! I much enjoyed reading An Inspector Falls … I felt extremely sorry for Alison. I thought you gave her a pretty rough time, and I felt the pain of it. I hope I never have a churchwarden like Bunty, though I have no doubt they exist! The interplay of characters was fascinating and the whole thing was fast moving. I enjoyed the steamy and the earthy bits too, and I look forward to the last in the trilogy. I’m about half way through your book – it’s very much “a good read” – you really do have a gripping style and the characters are becoming part of me – I usually read it before I go to sleep and I sometimes wake up thinking about them!! You are a brilliant storyteller. How very much I enjoyed your novel … unputdownable … I really think you’ve got something exceptional in these novels. I particularly like the way you sympathise with all your characters, however dislikeable, and redeem those who have done awful things. … I’ve never read a more vivid description of a woman trying to do a full-time job, be a mother and a friend and a conscientious citizen, and inexorably sinking under the strain. Iain Sutherland inched his car down the school driveway behind an oblivious boy, whose why-hurry walk displayed complete disregard for the fact that afternoon lessons were already ten minutes old. The boy disappeared through the entrance. The Inspector smiled wryly as he directed his car between the pristine lines of a space designated VISITORS. The car park had been freshly whitewashed in anticipation of his visit; pupils were much less easily refurbished. He switched off his engine. Indeterminate faces behind the glass of the long ground floor window in front of him eyed the slide of the silver Rover into the gap, then turned abruptly away, their attention demanded by the dimly visible teacher perched on the table at the front of the class. Iain checked himself briefly in the driving mirror, ensuring that the pasty he’d consumed during his journey had left no traces on his chin. He removed a speck from the left lens of his glasses, before drawing his briefcase across from the passenger seat. Another school. Any school. A school like any other. Wellesley High this time: bright blue metal railings spiked to deter marauders, robust grass bordered by beds of straggling rose bushes, double-storeyed grey buildings housing some seven hundred pupils from eleven to sixteen and a staff of sixty-four, and every one of them surely rapturous at the thought of his arrival!